The original pattern appeared in 1951 in the publication Star Book No. 87, Doilies, Doilies, Doilies. For a printer friendly and editable version of this post, scroll down to the bottom and click the button that says "Print Friendly." I am absolutely in love with this doily. 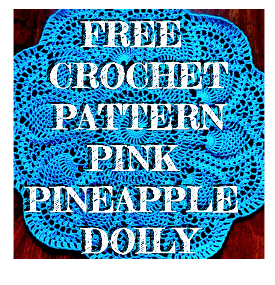 It looks like a very complex pattern but if your are just starting to make doilies and other crochet goods this is a great pattern to learn how to read other, more complex patterns. This pattern is in the public domain and you are free to post it to your own website. 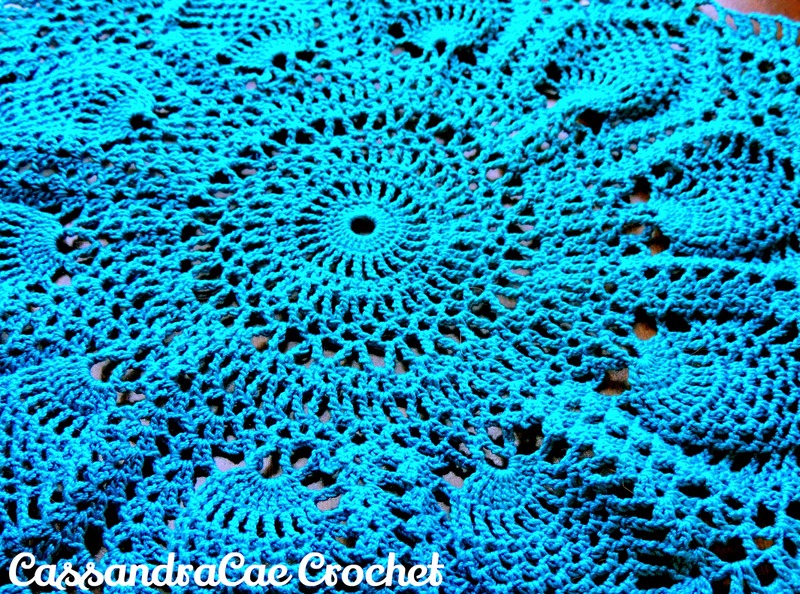 If you love this pattern make sure to check out the Tea Time Doily I crocheted too. If you use any of my pictures of this doily, I require you to provide a back link to my website with proper image credits. Other than that please share away. Backlinks make my online world go round! If you do share my pattern, make sure you let me know in the comments or by way of social media so I can add your article to the places I have been featured, a list of links in my sidebar. 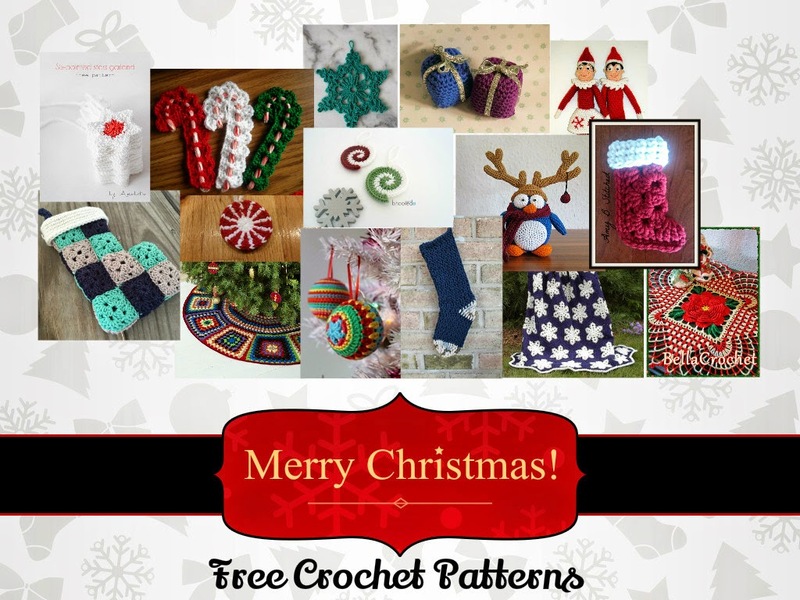 You are also free to sell anything you make from this pattern but selling the pattern itself is not allowed. I changed a couple minor things about the pattern as it is written below. Around Rows 23 and 24, some of the pattern didn't make sense to me. I am not sure if it was the way I was reading the pattern or if, by chance, there are typos in the pattern. I kind of went on my own tangent during these rows so my doily may not look exactly like the original. I also decided to leave the picots off of my finished doily because mine do not always look the neatest and I wanted my finished design to look really clean. Those are added in row 25. Ch 6, tr c in next d c, * ch 2, tr c in next d c, repeat from * all around, ch 2, join in 4th st of ch (25trc). Sl st into loop, ch 5, d c in same loop, * 1 d c, ch 2, 1 d c in next loop, repeat from * all around, join in 3rd st of ch. Sl st into loop, ch 6, tr c in same loop,* 1 tr c, ch 2, 1 tr c in next loop, repeat from * all around, join in 4th st of ch. Sl st into loop, ch 6, d c in same space, * 1 d c, ch 3, 1 d c in next loop, repeat from * all around, join in 3rd st of ch. Sl st into loop, ch 8, tr c in same space, * 1 tr c, ch 4, 1 tr c in next loop, repeat from * all around, join in 4th st of ch. Sl st into loop, ch 5, d c in same space, * 1 d c, ch 2, 1 d c in space between next 2 tr c, 1 d c, ch 2, 1 d c in next loop, repeat from * all around ending round with 1 d c, ch 2, 1 d c in last space, join in 3rd st of ch. Sl st into loop, ch 6, tr c in same space, * 1 tr c, ch 2, 1 tr c in next loop, repeat from * all around, join in 4th st of ch. Sl st into loop, ch 6, d c in same space, * 1 d c, ch 3, 1 d c in next loop, repeat from * all around, join. Sl st into loop, ch 3, 1 d c, ch 2, 2 d c in same space, * ch 4, s c in next loop, ch 4, 1 tr c, ch 4, 1 tr c in next loop, ch 4, s c in next loop, ch 4, 2 d c, ch 2, 2 d c (shell) in next loop, shell in next loop, repeat from * all around ending round with ch 4, s c in next loop, ch 4, 1 tr c, ch 4, 1 tr c in next loop, ch 4, s c in next loop, ch 4, shell in next loop, join. Sl st into shell, ch 3, 1 d c, ch 2, 2 d c in same space, * ch 2, skip 2 loops, 10 tr c in next loop, ch 2, skip 2 loops, shell in next shell, ch 1, shell in next shell, repeat from * all around ending round to correspond, ch 1, join. All shells are worked in same manner for remainder of doily. Sl st into shell, ch 3, 1 d c, ch 2, 2 d c in same space, * ch 2, 1 tr c in each of the next 10 tr c with ch 1 between each tr c, ch 2, shell in next shell, ch 1, shell in next shell, repeat from * all around ending round to correspond, ch 1, join. Sl st into shell, ch 3, 1 d c, ch 2, 2 d c in same space, ** ch 2, s c between 1st 2 tr c, * ch 3, s c between next 2 tr c, repeat from * 7 times, ch 2, shell in next shell, ch 1, shell in next shell, repeat from ** all around ending round to correspond, ch 1, join. Sl st into shell, ch 3, 1 d c, ch 2, 2 d c in same space, ** ch 3, skip 1 loop, s c in 1st loop of pineapple, * ch 3, s c in next loop, repeat from * 6 times, ch 3, shell in next shell, ch 1, shell in next shell, repeat from ** all around ending round to correspond, ch 1, join. Same as last round but having 1 loop less in each pineapple. Same as 15th round but having ch 3 between the 2 shells in each section, ch 3, join. Sl st into shell, ch 3, 1 d c, ch 2, 2 d c in same space, ** ch 3, s c in 1st loop of pineapple, * ch 3, s c in next loop, repeat from * 3 times, ch 3, shell in next shell, ch 2, 1 tr c, ch 3, 1 tr c in next loop, ch 2, shell in next shell, repeat from ** all around ending round to correspond, join. Sl st into shell, ch 3, 1 d c, ch 2, 2 d c in same space, **ch 3, s c in 1st loop of pineapple, * ch 3, s c in next loop, repeat from * twice, ch 3, shell in next shell, * ch 2, 1 tr c, ch 3, 1 tr c in next loop, repeat from * twice, ch 2, shell in next shell, repeat from ** all around ending round to correspond, join. Sl st into shell, ch 3, 1 d c, ch 2, 2 d c in same space, ** ch 3, s c in 1st loop of pineapple, * ch 3, s c in next loop, repeat from * once, ch 3, shell in next shell, ch 2, * 1 d c, ch 2, 1 d c in next loop, repeat from * 6 times, ch 2, shell in next shell, repeat from ** all around ending round to correspond, join. Sl st into shell, ch 3, 1 d c, ch 2, 2 d c in same space, ** ch 3, skip 1 loop, s c in next loop of pineapple, ch 3, s c in next loop, ch 3, skip 1 loop, shell in next shell, ch 3, skip 1 loop, cluster st in next loop (cluster st: 3 d c in same space keeping last loop of each d c on hook, thread over and pull through all loops at one time), * ch 3, cluster st in next loop, repeat from * 5 times, ch 3, shell in next shell, repeat from ** all around ending round to correspond, join. Sl st into shell, ch 3, 1 d c, ch 2, 2 d c in same space, ** ch 3, s c in remaining loop of pineapple, ch 3, shell in next shell, * ch 2, 1 tr c, ch 2, 1 tr c in next loop, repeat from * 7 times, ch 2, shell in next shell, repeat from ** all around ending round to correspond, join. Sl st into shell, ch 3, 1 d c, ch 2, 2 d c in same space, ** shell in next shell, ch 2, skip 1 loop, * 1 d c, ch 2, 1 d c in next loop, repeat from * 14 times, ch 2, skip 1 loop, shell in next shell, repeat from ** all around ending round to correspond, join. Sl st into shell, ch 3, cluster st in same space, ** cluster st in next shell, ch 3, skip 1 loop, cluster st in next loop, * ch 3, cluster st in next loop, repeat from * 13 times, ch 3, skip 1 loop, cluster st in next shell, repeat from ** all around ending round to correspond, join. Sl st into 2nd loop, ch 4, tr c in same space, * ch 2, 2 tr c in next loop, repeat from * 12 times, skip 2 loops, 2 tr c in next loop, repeat from 1st * all around in same manner skipping last 2 loops and joining in 4th st of ch. ** Ch 4, skip 1 loop, * d c in next tr c, ch 4, sl st in 3rd st from hook for picot, ch 1, d c in next tr c, ch 3, repeat from * 10 times, d c in next tr c, ch 4, sl st in 3rd st from hook for picot, ch 1, d c in next tr c, ch 4, skip 1 loop, s c in center space between next 4 tr c at base of scallop, repeat from ** all around, join, cut thread. I also used Aunt Lydia's #10 thread for my project which is a larger gauge than recommended. That being said I also used a slightly large hook than recommended to accommodate the larger thread size. I have not blocked out my Pink Pineapple Doily yet but that will be a post for another day. Right now I have no spray starch on hand and I want to make sure this doily looks perfect before I set it out for display. 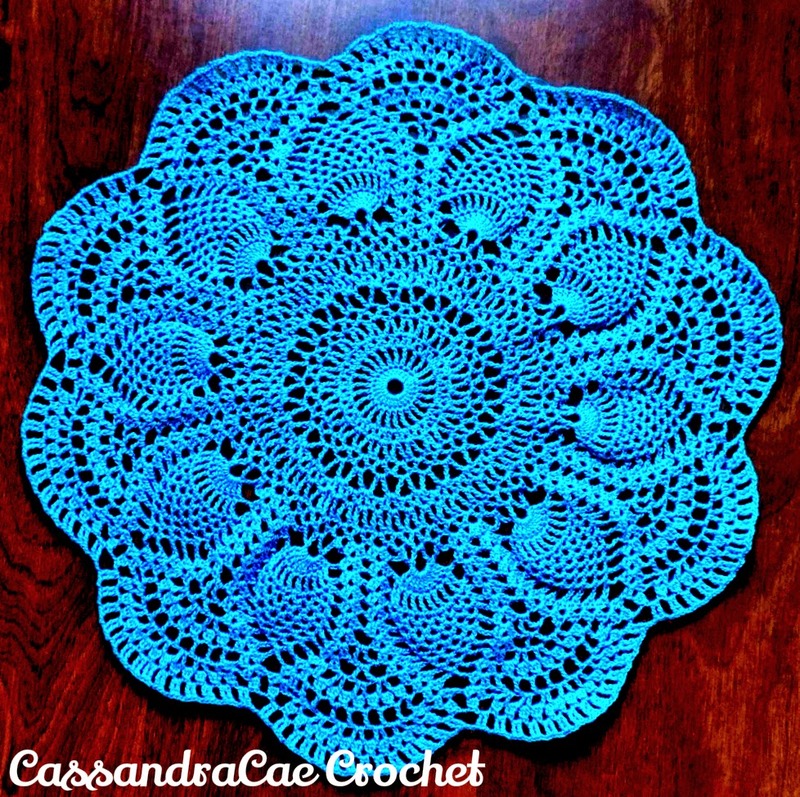 If you crochet this wonderful doily for yourself, make sure you share a picture with me, I would love to see your finished piece. If you like this pattern and my work, please share the post using the buttons on the side and thanks! To see what else I am working on, and to see pictures of my awesome cats, make sure you follow me on Instagram! Thank you for your kind comment. It took a little bit of work but I am really happy with how it came out. I have already started in my next pineapple doily. It is bigger and it has more pineapples. What is the diameter of this doily? Thanks, it is very beautiful! Thank you for asking and stopping by. I completely forgot to add that to my description. In its un-starched form, the doily is about 13 inches in diameter. Just a reminder, i did not crochet the last row which is made of picots. This will add a little more length to the diameter if you choose to add the picots. Mine never seem to come out right and I really didn't want to mess with them when I sat down to starch and pin this doily. Hello :) very beautiful doily! I am trying your pattern and making my very first doily but I am confused on what you mean by next loop. Do you mean in each space or do you mean only in the chain 2 space? For example I am on round 4 and my doily is wavy because I'm going into each space and I don't think I'm doing it right. Can you please help me? Sorry I am so late to respond but yes, only the chain 2 spaces. This should help flatten things out. simply beautiful! I love pineapples and love the color you used! Thanks! I really wanted to go non-traditional in hopes it would stand out. Thank you so much. With all the great patterns in the public domain I do not believe I will ever become bored. Beautiful! Thank you for sharing the pattern with us at Brag About It! I'll be sharing with my daughter who would love to make this for me :) Hope you have a wonderful week. Pinning and tweeting to share! Thanks for hosting and thank you so much for sharing, it is always greatly appreciated! How many balls of thread will be needed? I used 1 Large Ball of Aunt Lydias crochet cotten  and had some left over. If using the smaller balls you may need 2 to 3. Hope this helps. If you would like the yardage plase let me know and I will look it up for you. Thank you for put this pattern on line.I hate to see things like this and then no pattern or the thing I hate the most is you can not get it in ENGLISH. Thank you I love this pattern. Can you add to this to make it bigger?